If you're into racing, but you're tired of racing big, unwieldy cars, then you should check out R.C. 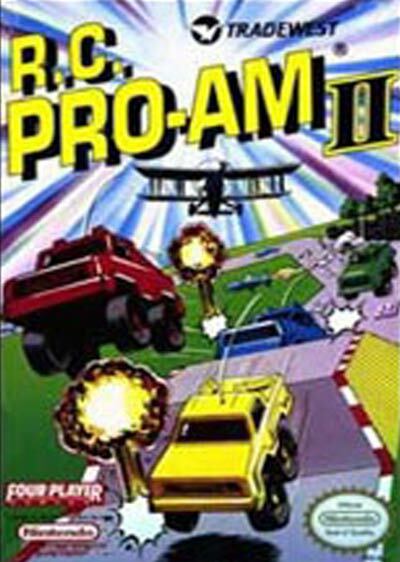 PRO-AM II for the Nintendo Entertainment System. You'll be in control of the remote-controlled cars that you remember from your childhood, complete with antennae to pick up your signal. There are 24 tracks covering a wide variety of terrain. If you're good enough to win a race, you can go to the R.C. Model Shop and upgrade your car's components to turn it into an unbeatable racing machine. You'll also have access to power-ups and weapons, adding a new element of strategy to the racing formula. Whether by yourself or with up to three friends, R.C. PRO-AM II delivers intense racing action miniature style!